Beautiful Incentives: New Years resolutions, fast meals with protein kick, using Progresso soup. Also, win $15 Paypal! 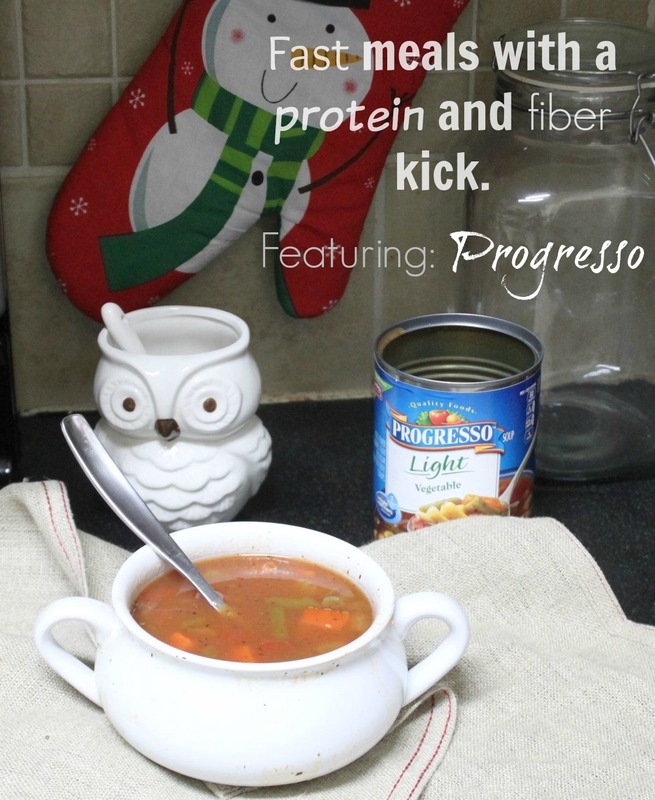 New Years resolutions, fast meals with protein kick, using Progresso soup. Also, win $15 Paypal! Another New Year. Another resolution in the works. Luckily this really isn't a huge change to make. I was making so much progress with my weight loss, until the holidays. Yeah, the cliche reason like everyone elses. Fortunately, I was careful enough not to gain much back, but still more than I wanted to. To keep that trend going, I make sure to have healthy and more important, QUICK, meals available for when i'm in a hurry. That way I have no excuse to buy any fast food, ever. Progresso makes light versions of some of my favorite soups and being that i'm primarily vegetarian, I always choose their vegetable versions. 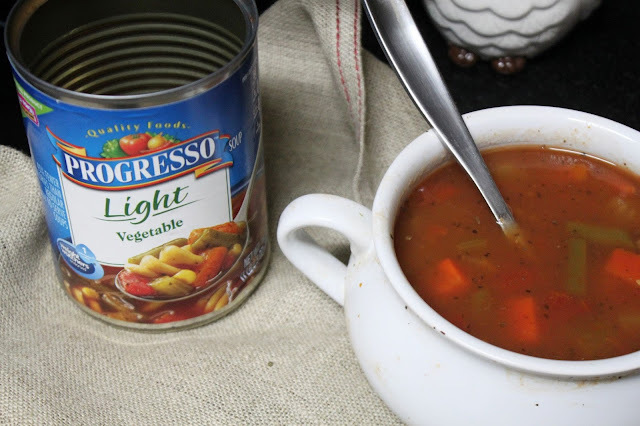 The light vegetable version of Progresso soup is actually not far from the real thing that is home made. It's thick but not to thick and it really hits the spot when I crave a warm hearty comfort food during these cold months. To give it a bigger protein kick for my vegetarian eating self, I will sometimes add in some form of beans and I'm satiated for hours! For any fellow vegetarians, this is so easy to make a full satisfying meal with! Adding the protein and fiber kick is simple. I just added a 1/2 cup of cooked garbanzo beans! That's it. Which makes it over 9 grams of fiber and 12 grams of protein! A nutrient packed healthy meal in 5 minutes! You could add more of a protein kick with extra noodles, but this is more than enough for a healthy lunch or dinner. Because I need tons of on the go foods for my lifestyle, I like to buy Progresso in bulk most of the time. That way I can spend their high value coupons at Publix, such as the recent one for $1 off 4! Not many soups that I frequently buy offer that kind of discount, so I stock up as much as I can. For those of you that might be in the same boat or not, I am happy to offer a $15 paypal gift card to buy your own stock of Progresso. 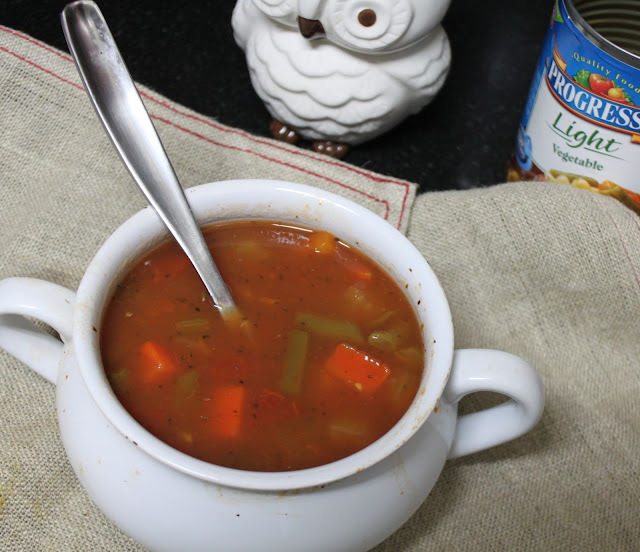 Don't forget to save with Publix coupons for Progresso! RULES For Giveaway: Simple. 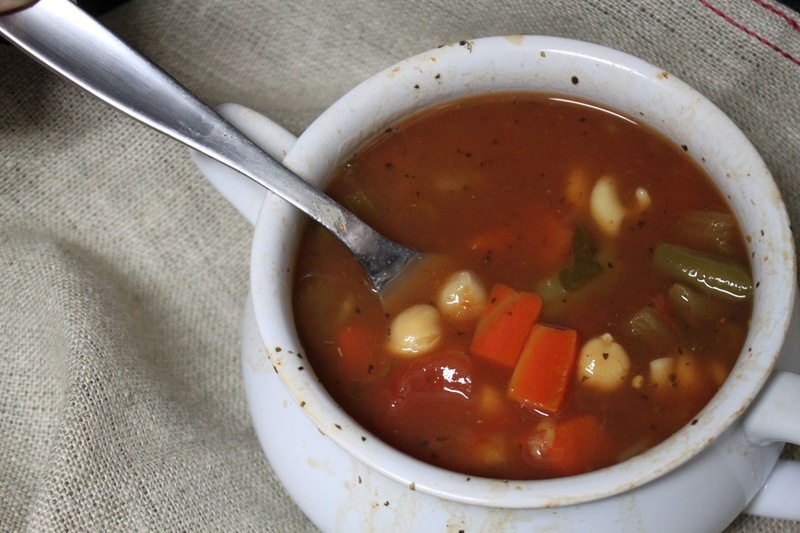 Just follow this link: https://ooh.li/2e92b6f and tell me in the comments section what Progresso soups you would purchase. Don't forget to leave your best e-mail for contact! While you're there, don't forget to grab a high value $1 off 4 coupon as well! I would get the Light Chicken Noodle, Chicken and Dumplings and the Light New England Clam Chowder, and Minestrone Soup. Love Progresso soups! So delicious. Our guys love Progresso New England Clam Chowder. They like to take it to work for a healthy quick lunch.Good time to stock up! I would buy some chicken noodle soup. I would get light new England clam chowder. I would get Chicken and Rice and Lentil, they are my favorite gluten-free ones! i would purchase the new england cham chowder and chicken noodle soups they are my favorite. I would try the Light Chicken and Dumplings. I would really love to try their new england clam chowder! It's great to find a creamy soup that is also lower on calories. Oh the New England Clam Chowder sounds so good! So great they are all less then 100 calories! Perfect for my new years resolution to learn to cook and eat healthier!